My husband and I currently are using second or third hand mattresses, I don't even know. They're really in bad condition- one of them had wires starting to poke out from the springs, that needed to be cut off because otherwise it would hurt someone. We need new mattresses, but mattresses are expensive. I really appreciate this post written by a reader on how to get your mattresses to last longer, and I hope you do too, because once you spend money on your mattresses, don't you want to get the most for your money by making it last as long as possible? I know I do. On average, ten to twelve years is considered a long period during which a mattress can serve you well. However, this does not happen by accident. It takes simple intentional steps of caring for a mattress to have it in pristine condition and prolong its lifespan. Once you choose a mattress of your preference, you will need to clean it regularly. Rampant and different types of bacteria and germs share your bed with the intention of taking over. They destroy the mattress if left undisturbed. Some of these bacteria also cause pneumonia, skin infections and allergies. Millions of dust mites additionally feed on dead skin deposited on your mattress. Their excreted waste has allergens which are very harmful to your body. Consequently, you should clean your mattress using recommended cleaning products and procedures. Additionally, getting occasional expert services from a professional cleaner will help to further do away with all the grime and other forms of dirt in the mattress. Rotating your mattress every three months is another way of increasing its lifespan. Spin the mattress by 180 making the end where you previously lay your head positioned where your legs rest. Rotation should be planned for. If you began the year with a rotation, the next one will be done in April, and so on. Rotation helps to make the inevitable wear and tear more even. Air your mattress for freshness. Let the mattress lean against a wall to allow air to flow all around it. Again, use the upholstery attachment on the vacuum cleaner to vacuum your mattress. This will further remove the ever accumulating dead skin off your mattress as well as other forms of loose dirt like animal fur. At the same time, your mattress should not be wrapped in plastic. Instead, protect your mattress from fluids, odors, stains and such like by using a mattress pad or mattress protector. These precautionary measures stop condensation from taking place which promotes the build up of molds and mildew. 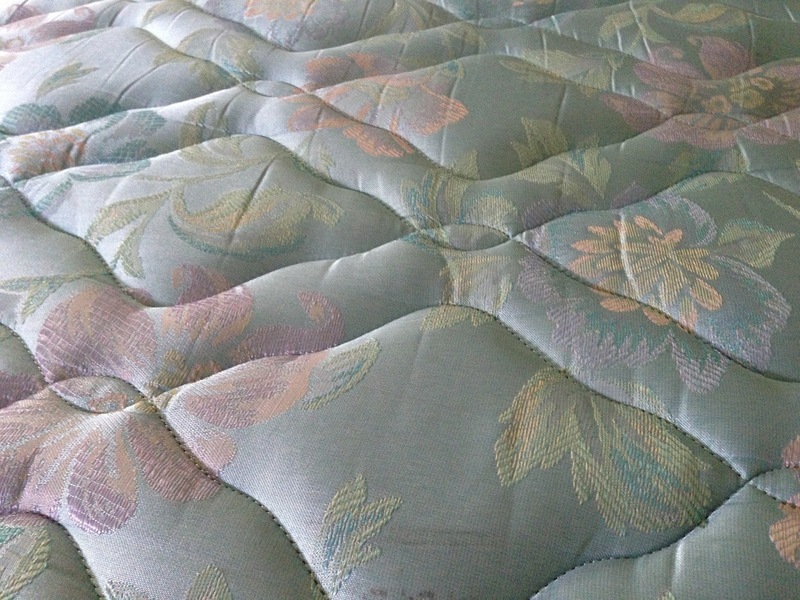 Moldy mattresses are unhealthy. Do not sit, stand or jump on your mattress. This distorts the material the mattress is made of. For instance, the mattress edges weaken when consistently sat on; layers forcefully get into the springs of a mattress when it is jumped, stood or sat on, not to mention the tears that are sustained. Similarly, bending or folding the mattress should be avoided for the same reason that it will harm the composition of the mattress such as irreparable folding of the springs in the mattress. Avoid putting a board between your mattress and the box spring. The board interferes with the function of the box spring. The box spring is designed to prevent premature wearing out of the mattress it is supporting. A good mattress is an important and costly investment that should not be taken for granted. Caring for your mattress does not just save your money but also translates into better sleep. Every night, you will look forward to a soothing snuggle and peaceful slumber.